It seems that a lot of people consider to trade their DSLRs for a Fuji X but I think that’s not a good idea. Why jump into the lake head first if you can’t see how deep the water is? Better check it first. It’s also better to check out if the new camera really fits your needs. In order to do that you don’t need to get the latest and greatest. You don’t need to spend a fortune. When I got my first Fuji X system camera in late 2012 I got a second hand X Pro-1 plus the Fuji XF 18/2 R. Both in mint condition. So I didn’t spend a lot of money at all to try out an alternative to my full frame DSLR. I added a XF 35/1.4 R and as soon as it came out the XF 14/2.8 R. Over the years I added lenses and changed to the Fuji X T-1 and later to the Fuji X Pro-2 before I finally decided to sell my full frame Canon. Buy the camera second hand! Unlike many other things cameras are often bought spontaneous, tried out and sold after little use. I managed to do that myself when I got the Panasonic GM-1 to check out the m43 system. I sold it later because it was just sitting around. Same thing happened with some DSLR lenses. Or the Sony A7R that I bought and only shot during one vacation the year before I gave up my DSLR system. All those cameras and lenses had one thing in common: they were all in mint condition when I sold them. But even the cameras that I have shot extensively like the Canon 6D, the Fuji X100 or the Fuji X Pro-1 where in very good condition when I sold them. I don’t pet my gear but I also don’t beat it up without reason. When I don’t take pictures my camera sits in a camera bag. Most people do the same. They treat their cameras well. They don’t shoot as often as they would like to and that’s why there is a huge amount of used camera gear in excellent condition. A perfect opportunity to try out a system at very little cost. Depending on your preference you can either get an X Pro-1 or an X-T1. I recommend to stay with the top camera bodies because they offer the by far better shooting experience. You can have an X-M1 plus zoom lens for less money but you lose almost all features, like i.e. the viewfinder and the dials, that make Fuji such a great system. 2. Buy the lenses second hand too! What’s true for cameras is even more true for lenses. Most gear heads have far too many lenses and as a result those lenses sit in a cabinet or in a camera bag and see little use. If you buy a camera of the previous generation you can argue that it is outdated. With lenses that’s not the case. The only difference is that if you buy them second hand is that they are much cheaper. Otherwise you get exactly the same thing that you can get when you buy new. 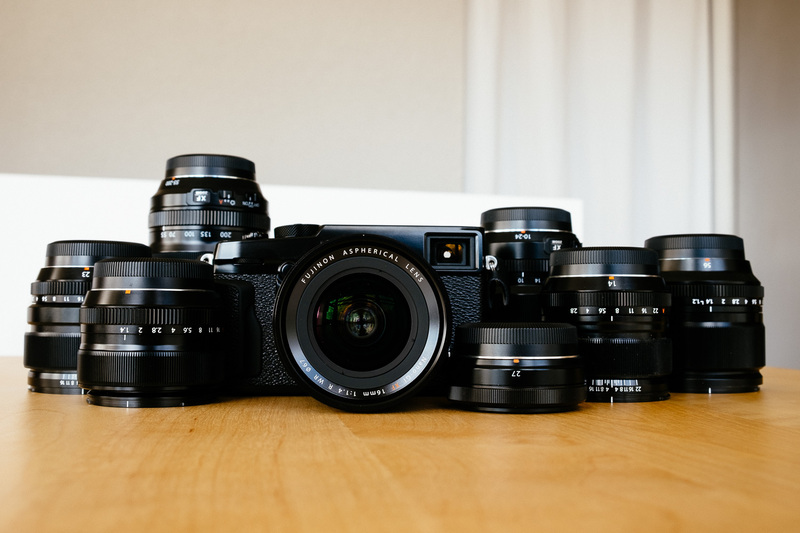 Recently Fuji brought f2 versions of their 23 and 35mm lenses. The newer lenses are weather resistant (whatever that means in real life!) and have a more modern autofocus. Regarding pure optical performance though the older lenses are better. They are optically corrected instead of software corrected and they are one stop faster which means lower ISO values in low light and better depth of field control. And because a lot of people switched to the newer lenses the older f1.4 version can easily be found second hand. Beside the XF 23/1.4 R and the XF 35/1.4 R there are two more lenses you could try to find. One is the XF 18/2 R. A lens that is so much better than its reputation. Old fashioned AF but still a very fast focuser. It has some distortion but otherwise a very fine lens. For me it is clearly a better performer than the overrated 18-55 OIS and it balances much better on the camera too. 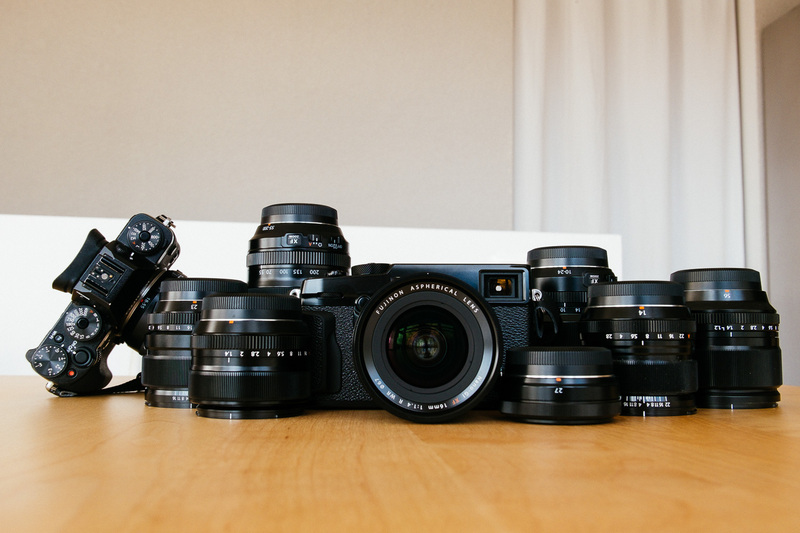 Last lens recommendation is the XF 14/2.8 R. This is one of the best lenses Fuji makes. It is one of the best lenses of its kind in any system. Excellent sharpness and practicably no distortion. For me this is THE lens in the Fuji line. There are only primes in my list but there is a good reason. Only the primes give you the marked aperture rings. Most of the zooms have unmarked rings or in case of the XC lenses no aperture rings at all. 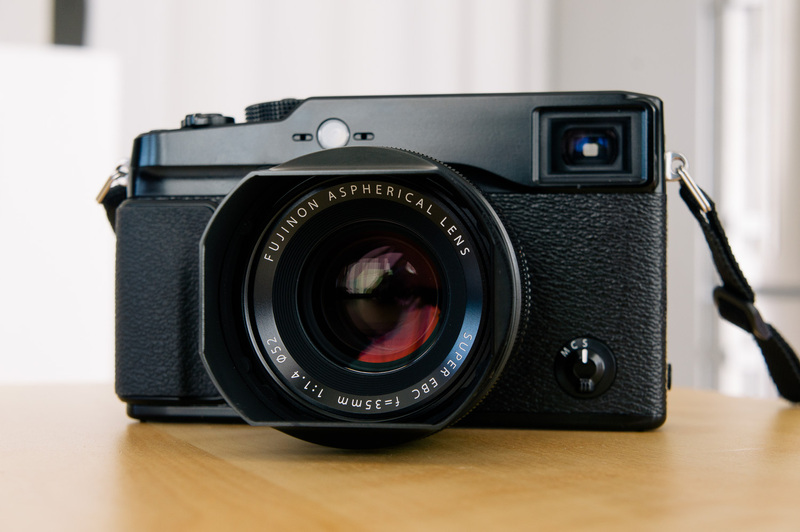 Don’t swap your DSLR for a Fuji mirrorless. Try out the new camera before you switch systems. What works perfectly for others may not work for you. Fuji has become more main stream with faster camera bodies and improved AF in the newer lenses but it is still not a camera system that does it all. If video, IBIS (in camera image stabilisation), program modes and a touch screen are important for you Fuji is obviously not the right camera system. But even if you don’t care about those features it is still hard to say if you love the ergonomics and the shooting experience. It took me three years to realise that I always grabbed for my Fuji first even when I was at home. Three years after I bought that second hand Fuji X Pro-1 I finally sold my Canon full frame gear. For me Fuji simply works best. If you consider to switch to Fuji I recommend to try it out first and that you take your time too. That’s the best way to avoid disappointment. This entry was posted in Article and tagged Fuji X Pro-1, Fuji X-T1, Fuji XF 14mm, Fuji XF 18-55 OIS, Fuji XF 18mm, Fuji XF 23mm, Fuji XF 35mm by admin. Bookmark the permalink.